The pages in between would tell two stories: the first, a century of Hadassah’s milestones. They start with two American women opening a nurses’ station in Jerusalem in 1913 and continue, in 1918, with the creation of the American Zionist Medical Unit, a group of doctors, nurses, dentists and sanitary engineers who traveled to Israel to establish permanent health and welfare programs. The next pages would show children drinking pasteurized milk distributed by Palestine’s first permanent infant welfare stations, Tipat Halav (drop of milk), and playing in the first Guggenheimer Playground (established in 1925; by 1950, there were 50 in the country). We see smiling women graduating from Hadassah’s Nurses’ Training School in 1921 and World War I orphans shouldering trays of pita in the Meir Shfeya Youth Village supported by Junior Hadassah. Many pages chronicle the growing medical centers on Mount Scopus and at Ein Kerem in Jerusalem. Others follow the 11,000 children and teens rescued from Nazi-occupied Europe through Hadassah’s support for Youth Aliyah. These accomplishments are extraordinary by any measure. They affirm that, in its first century, Hadassah has been among the most successful organizations in American Jewish life, and one of the most successful women’s organizations ever established. But there is another story winding its way through Hadassah’s pages. It is subtler but no less dramatic. It is a story of how generations of America’s Jewish women harnessed enormous energies, discovered unexpected talents and learned important skills to write into history Hadassah’s grand achievements. As these women contributed their portion to the Zionist dream, they also invented and reinvented themselves as women, Americans and Jews. Who were the women gathered on that wintry evening in the vestry rooms of New York’s Temple Emanu-El to found a mass movement for the promotion of Jewish institutions and enterprises in Palestine, and the fostering of Jewish ideals? At their head was 51-year-old Henrietta Szold. Already a towering figure in American Jewish life, this rabbi’s daughter, educator, writer and journalist would make Hadassah her third “career.” The other founders, mostly younger than Szold, were committed Zionists and skilled Jewish communal activists. Alice Seligsberg, who would become Hadassah’s second president, made orphan care her specialty. Ruth Bernard Fromenson organized circles to sew layettes for the babies of Palestine; as director of Hadassah’s Palestine Supplies Bureau, she supervised shipping over four million items. Florence Robinson Brodie, a teacher, established Hadassah’s Speakers Bureau. Rose Gell Jacobs, also a teacher, served multiple terms as Hadassah’s president and became the first woman to serve on the Executive of the Jewish Agency. These women, styled by others and often by themselves as American Jewesses, lived in a world where women could not yet vote—but that was only one condition in their lives. The electric washing machine had just been invented. Birth-control information was defined by law as “obscene literature.” Life expectancy for a woman born in 1900 was just 50 years. With the exceptions of writing, teaching and social work, acceptable careers for women scarcely existed. Voluntarism—helping out at church, working to improve society—was the approved outlet for active women, married or single. The founders of Hadassah, the Women’s Zionist Organization of America, knew that. But they envisioned more. Their goal: nothing less than the transformation of American Jewish womanhood, and through them the American Jewish people, by making Zionism a pillar of Jewish identity. This was daring back then. Few American Jews were staunch Zionists. Only a handful had attended the First Zionist Congress in Basel, Switzerland, in 1897. This, then, is the second—impressive—story in our scrapbook: how Hadassah made Zionists out of America’s Jewish women and forged them into a powerful force in Jewish life at home and abroad. Hadassah pivoted American Jewish women toward Zionism through its twin foci on health care and youth in the future Jewish homeland; later on, these efforts included sponsoring Young Judaea programs in the United States and Israel and aiding disadvantaged Russian and Ethiopian children in Youth Aliyah villages. Newsletters from the 1920s show armies of Jewish women in local chapters holding fundraisers and educating themselves, in both Yiddish and English, not only about Judaism but about Zionism and the Holy Land. Baltimore’s biblical tableaux, Jersey City’s theater party, Far Rockaway’s stocking shower, Norfolk’s Palestine booth at the Bazaar of Nations—these could have been routine social occasions. But Hadassah transformed them into events that proudly demonstrated Jewish women’s commitment to their people and to their nation. 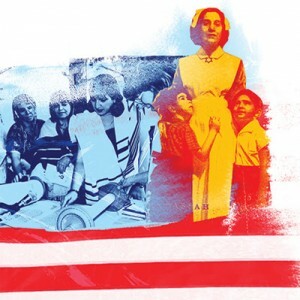 Long before Hadassah could ever dream of holding its national convention in Israel, it erected a bridge connecting American women to the Jewish homeland. When, in 1922, for Hadassah’s 10th anniversary, its members inscribed their names in a Sefer Ha-Yovel, a book of jubilation, and mailed it to Hadassah in Jerusalem, they sent a piece of themselves. Hadassah leaders also mastered, to the consternation of some, the art of politics, both within the Zionist movement and in the larger American community. In the 1920s, Hadassah President Irma Levy Lindheim, who had studied to be a rabbi, battled the Zionist Organization of America for Hadassah’s autonomy when the ZOA tried to relegate Hadassah, in her telling, “to the position of compliant appendage.” In the 1970s, Hadassah advocated for Soviet Jewry and more recently spoke up for stem cell research. Hadassah’s founders had never intended to create a “compliant appendage” within the American Jewish community. Instead, they set out to build up their ancient Jewish homeland and transform America’s Jewish women. Hadassah’s Centennial scrapbook tells the parallel stories of how this happened, as the Jewish women of America built up the Land of Israel and, in so doing, built up themselves and the Jewish people. Pamela S. Nadell holds the Patrick Clendenen Chair in Women’s and Gender History at American University in Washington, D.C. She is the author of Women Who Would Be Rabbis: A History of Women’s Ordination, 1889-1985 (Beacon Press).